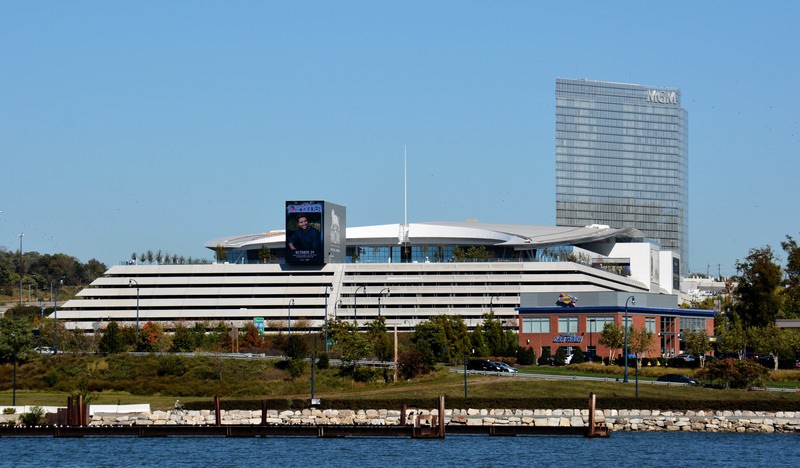 One of the things my better half and I treated ourselves to a few weekends when we visited the National Harbor was the MGM Hotel/Casino/Event complex. When we go places we always talk about the people we see. Like just sitting on a boardwalk bench and watching slices of life walk by. You can see contentment, happiness and joy, sometimes pain or loss, maybe that alone look. You can look at their step or gate or even dance as they walk. You can see confidence, trust or fear in the way they hold or clutch their belongings. You can tell those comfortable in their own skin and those looking for another one. You can see expressions of art on their bodies in tattoos and hair/nail color. Hell just the meaning of tattoos on people s bodies alone could be a study in itself. But anyway I’ve grown to be an observant observer. And one thing hit me strange walking through the casino. It was a much different vibe than in other places. This was the last couple hours of our overnight vacation so I was about as relaxed as I could be. I knew we had a small limit on what we would gamble and was prepared to do that, enjoy it, hopefully just playing for a few hours and the chance to walk out close to even. We are no professional gamblers. We play the lotto 2-3 times a year when the amounts get high. We buy a couple of scratch offs for the kids at Xmas. We went to Vegas once in our almost 4 decade marriage. We might have visited MD Live 2-3 times so far. We played at Rocky Gap when lodging their 2-3 times over our lifetime. We are not gamblers but if there we will enjoy a few pulls on the one-armed bandits. So anyway, back to people. All of a sudden I realize that 80-90% of the people suddenly have VERY SERIOUS looks on their faces. Smiles were seldom seen. Sometimes I felt like I should stop smiling. Even when people were winning, with a few exceptions (us included) there would be smiles, giggles, laughter and teasing. But for most they couldn’t make the next pull or bet fast enough. When I hit for like $50 on one hit I must have sat there for 2-3 minutes just smiling and laughing till I realized that wasn’t the normal response. My better half pointed to a guy rubbing the screen and lines he wanted to hit I guess almost before every pull. He seemed to be doing well with that system. Older women with steely eyes looking deep into the guts of machines as they passed by. The poker tables were very interesting. There certainly are a lot of poker faces. I wish I could photograph in there. Talk about looks, expressions and gazes or anger or intimidation. It’s all there and more. Just about everything but joy. Maybe that is when they get up from the table but I didn’t see much of that either. Maybe when they get in the car or at home. One can only hope. These places are something else. Huge buildings with lush landscaping, colorful interiors, comfort and entertainment complexes. Sounds and sights that are meant I think to get people in a good spirits. And when we walked away from the casino areas we saw more of that in the restaurants and shops. As well as in the grand lobby area and hotel entrance. And along the fountains outside and the views of the harbor area from above. Relaxed postures, smiles, selfies with grand backgrounds or backdrops being snapped. But as we walked back through the casino, I did notice one group of people smiling. And that was the staff, dealers and management watching them. But still very little joy of the patron. Maybe it was just a bad day or we came by accident on sourpuss day. But somehow I don’t think that is unusual. I know I left $110 richer than I walked in. We put that towards keeping our weekend fun. And know this, if I walked out $100 poorer, I would have had that same smile on my face and relaxed feeling. But it did put an extra hop in my step getting into the car to head back home. I used to bet more when I was young. I did ok. I had friends that bet much more and didn’t do so well. Some of them are in tough spots today. And there weren’t casinos around us like now. But anyways in my personal gambling, I’ve learned that it’s not fun, its stressful. And I enjoy life without it. That lotto ticket I might buy for a huge prize is just a fantasy thing. It allows me to wonder what life might be like if I could have the hours back that I work for someone else. It make me think of what I can do with my family and friends to enjoy life more. It allows me to think how I could help others. That is a fun thing even if I lose a dollar or two doing it 2-3 times a year. Hell I even find myself stressing out that someone of the kids get a few dollars from the scratch-offs I buy at Xmas. So its good to know what type of person you are. Do you feel better with or without it in your life. Or maybe that occasional dalliance that doesn’t become a negative habit. But I also have to acknowledge the other side of the coin. I do know someone who has made a very good life as a professional gambler. And I mean a very good life. It’s a job to him. It’s a profession. And I respect the abilities and dedication they take in doing it. And to be successful over the long haul is impressive. But they are few and far between in my view of life. So know yourself. And this isn’t a knock on MGM. It’s the nicest casino I’ve seen in Maryland so far. So those of you who can afford and like to play, have at it.